Home » Our Doctors » Dr. Joseph Zelasko, O.D. Dr. Joseph Zelasko can be described as kind-hearted and dependable. He has been practicing in Tacoma for more than 25 years and is regarded as an important member of the community. Joseph Zelasko is a Washington native, but received his Doctorate of Optometry with honors from the Southern College of Optometry in Memphis, TN. He is a member of the American Optometry Association and the Optometric Physicians of Washington. 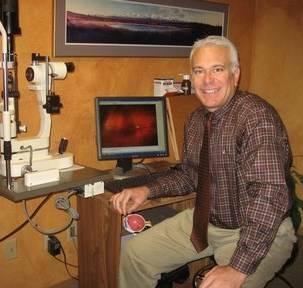 He specializes in fitting challenging specialty contact lens patients; many of whom require lenses for keratoconus, bifocal lenses, astigmatic lenses and contacts for dry eyes. He is also fully board certified to the highest level to diagnose and treat ocular diseases. Dr. Zelasko also enjoys spending his spare time with his family, and is a golf enthusiast.